The 91 Untold Applied Positive Psychology Practitioner course offers deep insights into the science of human performance and flourishing. 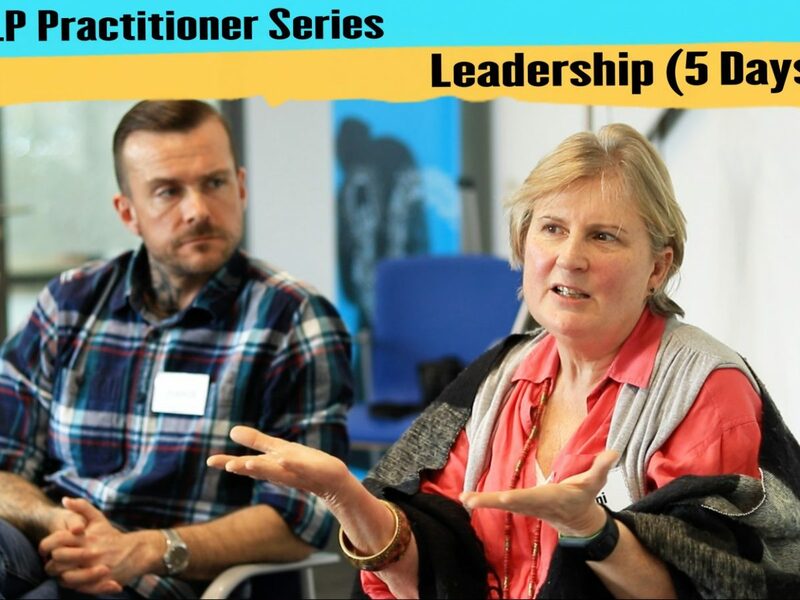 Its pragmatic approach will help you apply this knowledge in ways that support you becoming an even more effective change agent. 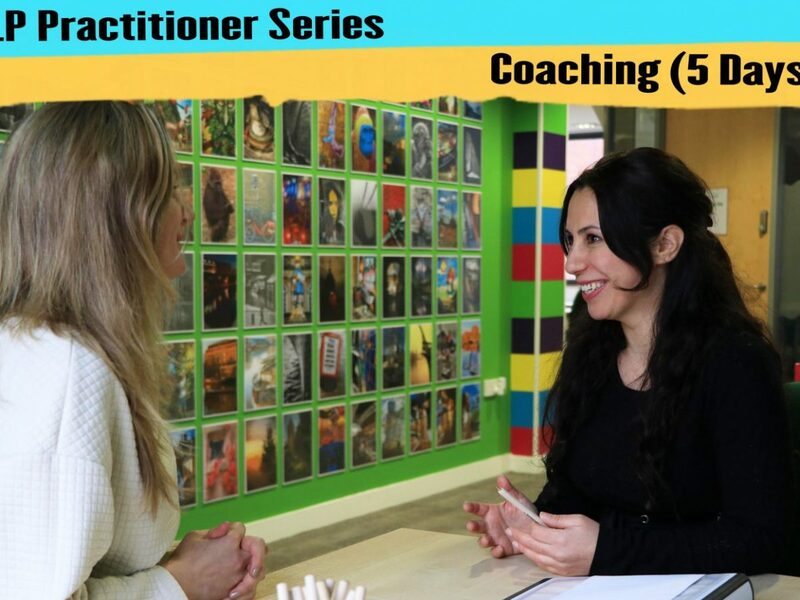 This course provides an evidence-based scientific framework to enhance your coaching, NLP or 1:1 change skills; enabling you to focus your existing knowledge for even greater effect and impact. Positive Psychology is an exciting new branch of psychology specialising in the scientific study of human happiness, wellbeing and flourishing, and providing an applied approach to optimal functioning. It also studies the strengths and virtues that enable individuals, communities and organisations to thrive. Increasingly, Positive Psychology is providing an evidence based toolkit that supports NLPers, coaches, counsellors, HR/OD/L&D professionals and change agents to become even more effective and impactful in their work. 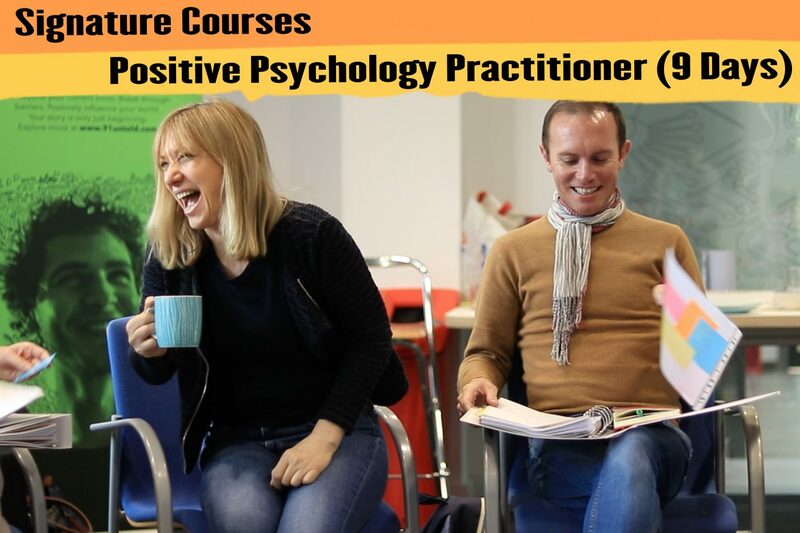 The 91 Untold Positive Psychology Practitioner course has been designed as a pragmatic and applied programme offering in-depth Positive Psychology training mapped across to the fields of coaching, NLP and other leading change modalities. The next course runs over nine days (split into three 3-day modules) in Bristol from Jan to March 2019. There will also be a London programme available for this course… Please enquire for the dates of this. Why choose the 91 untold Positive Psychology Practitioner Course? Positive Psychology is fast becoming an essential part of a change agent’s toolkit. However, very few of us have the time or headspace necessary to commit to a full academic Masters (MSc) level programme. Our positive psychology practitioner course has been developed as an in-depth practical training for professionals who want to benefit from new research and cutting-edge thinking without the need for extensive academic study. In fact, because the programme builds on your existing knowledge of 1:1 work and uses 91 Untold’s signature “applied” approach, no academic assignments are necessary, we’ve already done the reading and percolating so that we can present the most meaningful and practical approaches that support change professionals. We even plan on both validating and challenging popular NLP and coaching models as we go, enabling practitioners to consolidate learning to become even more evidence-based and effective. Through this programme you will gain insight into your own life experience, whilst also learning how to combine NLP and coaching approaches with the latest thinking from Positive Psychology to support the development and growth of others in a coaching, workplace or community context. The focus of the programme will be on learning from the ‘inside out’, you will be working on yourself as you work with others over the three modules, in what will be a rich personal, as well as professional, development experience. This short course is open to anyone with existing 1:1 change skills (be they coaching, NLP, counselling, organisational or consultancy based). If you are unsure, please contact us and we’ll gladly talk through your experience or recommend pre-study if necessary. In order to maximise the specialist learning, we will not formally be addressing the fundamentals of coaching or NLP (although where possible, any coaching or NLP models we reference will have been presented in blended ‘refresher study’ packs sent out before each module). The emphasis here is on providing you with a psychological framework for working with others within which you can apply your existing skills (be they NLP and/or other coaching techniques and approaches). This programme is less about ‘how to work’ with others and more about ‘upon what’ to work (whilst providing empirically tested and validated exercises from positive psychology to do just that). The skills presented in the programme are intended to help you work more fluently with clients. They provide a framework that will enable you to become even more tailored in your approach to 1:1 work. Positive psychology offers powerful diagnostic models and tools. Ordinarily, most coaching starts by looking at the client’s world and works from there. Whilst this approach remains very effective, positive psychology is able to offer insight into the optimal circumstances for flourishing and therefore, with this information, a coach can observe not just what the client presents, but also what might be missing. Similarly, the course will offer a robust range of assessment, scales and measurement tools to help enhance practice. In addition to application in 1:1 work the course will also enhance consultancy skills, enabling practitioners to diagnose organisational challenges and use an evidence-based approach for supporting businesses and helping them to flourish. Increasingly, high-functioning businesses are looking at ways of increasing engagement and resilience in their workforces. These are all areas in which positive psychology can add real value. The course will explore how to increase and monitor meaning and wellbeing at work. It will also explore positive leadership and how to foster a positive organisation. We will explore how to use positive psychology techniques to improve a workplace and help teams flourish. Positive Psychology came to prominence around the turn of the century when Martin Seligman led a charge for a more optimistic branch of psychological study. Until then psychology was primarily focused on studying the abnormal or misfunctioning human brain – being more interested in psychosis and disorders than the idea of human flourishing. The field that emerged from Seligman and his peer’s work was revolutionary. It explored the importance of purpose and meaning and became fascinated by the unfolding of human potential. Much like NLP and coaching it became much more interested in the desired state than challenges in the present (or where these may have come from). New insights into happiness and thriving followed and provided real academic evidence for (and challenge to) many of the paradigms that had contributed to the success of more applied psychologies such as NLP. But in its attempts to distance itself from old-style thinking in psychology more recent researchers have postulated that first wave positive psychology became a bit too ‘overly optimistic’ rather than embracing the complexities of human emotions and behaviours. What emerged from this thinking is a second wave of Positive Psychology research. Positive Psychology 2.0 recognises we all have a dark side and that negative emotions are a key part of what makes us who we are. And that embracing these is as much a key to thriving as harnessing positive emotions. This is an exciting progression for change professionals and inclusion of this latest thinking in this programme will hopefully help to explain why human beings don’t always behave in an optimal way. Understanding these drivers and the impact they have on behaviours can make change processes even more effective and sustainable. As previously mentioned the exact curriculum will vary according to the needs of the participants and in response to the very latest in research and practice. The course is delivered in three modules split over a three-month period. This allows material to be assimilated and applied prior to the next instalment, using a layered learning approach. The course is presented by Sarah Smith a popular member of the 91 Untold team. 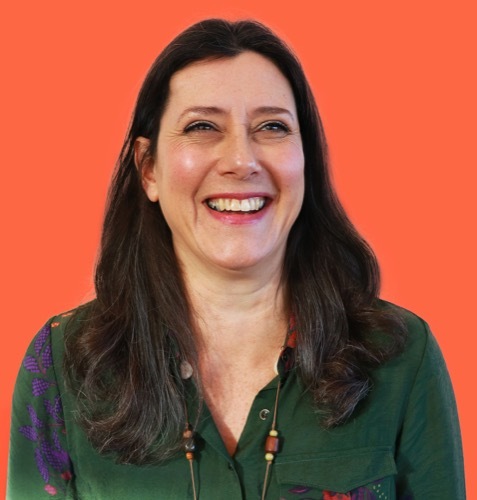 Sarah will use her vast experience as a coach, NLP Master Trainer and organisational consultant to help students apply the course in their chosen fields. Sarah has also over the last few years undertaken extensive study of Positive Psychology and brings a wealth of knowledge and research experience to underpin the programme. London programme also available… Please enquire for the dates of this.